In the modern economy, companies have become more environment-conscious. The “Go Green” initiative is now taken seriously by most companies. Most institutions now make use of Remanufactured Cubicles, Used Cubicles and Pre-owned Office Furniture. This is just one of the ways a firm can minimize environmental pollution. In Houston, Texas, suppliers of used furniture and cubicles are numerous. However, the family-owned Clear Choice Office Solutions is known by many since it is the one-stop-shop for office cubicles and furniture. A firm can choose to go green for a variety of reason. First off, we all play a crucial role in caring for the environment. The effects of pollution, global warming, temperature increase, and biological mutation, greenhouse gas emissions, Arctic ice meltdown, and other adverse effects are quite devastating. We all desire to minimize these effects by conserving our environment. Asides caring for nature, going green also has monetary benefits to a company. Going green saves money, conserves resources, and minimizes waste. Green products also attract higher prices with buyers who are committed to spending their cash on good initiatives. Go green initiatives also build the reputation of a firm from the community’s standpoint. Irrespective of the material (wood, plastic, cloth, plastic, metal, or whichever) a piece of furniture is made of, there are earth-friendly options. The best place is to choose options that consider wood conservation. You should avoid any practice that leads to deforestation since trees play a crucial role in the environment. First off, they bring in fresh air by absorbing carbon dioxide and produce oxygen which is crucial for our survival. Third, trees provide a home for birds, insects, and animals. Fourth, trees bind together the soil and ensure it stays rich in nutrients and moisture. Furthermore, most people rely on trees for sustenance. You should avoid any wood material that is acquired from unsustainably harvested forests. Instead buy reclaimed wood and wood from sustainably harvested tree farms and forests. Wood materials can last for a long time when it is kept in good condition. Therefore, one of the best ways to go green is to buy furniture made from reclaimed material. Many manufacturers are now designing furniture pieces from reclaimed pieces of wood that is sourced from old houses, furniture, and some other wood items. Wood is also reclaimed from logs that have been carried downstream by water. You can go green by simply choosing furniture that has been made from reclaimed wood since this is resource efficient and therefore environment-friendly. One problem however with furniture pieces made from reclaimed wood is that they come in short supply. Most builders and environmental designers use bamboo since it is the most versatile materials for making various items. Bamboo can be used for flooring, making veneers and furniture. It can also be sliced and transformed into window blinds and can build an entire house. In fact, most builders are aware that the use of bamboo can earn points with LEED. One of the main reasons bamboo is the most sustainable furniture material is due to the fact that bamboo is not a tree but rather a grass. It grows pretty fast and is the most versatile material. You can purchase bamboo-made furniture since this is one way of going green. There are plenty of furniture that is made from recycled plastic and metal. Materials that have been recycled are environment-friendly and generally require less processing and take up minimum resources. They also help boost the market for recycled materials. The continued improvement in technology has resulted in more sophisticated ways of recycling metals and plastics. The recycled products are improving in quality and this has greatly improved the demand for items made of recycled materials. However, buyers should be aware of furniture items that have been made from virgin materials and are labeled as recyclable for pure marketing purposes. 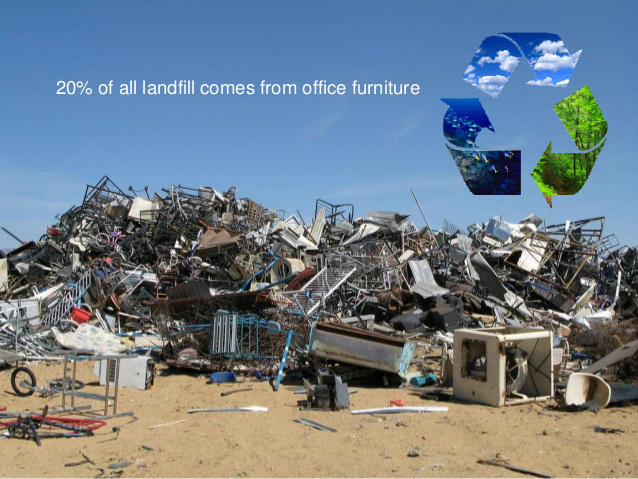 You should buy from reputed companies that recycle office furniture such as Herman Miller, Cherryman, Haworth, Mayline, Steelcase, and many others. Clear Choice Office Solutions supplies new, remanufactured and used cubicles from these manufacturers. One aspect of green products that most of us ignore is the durability of the product. When you buy a furniture item that is durable and can easily be repaired chances are high that it will not end up in the landfill. These products may be expensive initially but in the long run they are more cost-friendly. You can also sell easily furniture that is durable and fixable when you no longer need them since they appeal to almost anyone. They can be sold at eBay, Craigslist, or even Freecycle. There are literally dozens of small and flexible furniture in the market these days. This is no longer the era when furniture was huge and heavy. Buy smaller and lighter furniture that can be folded and put away whenever it is not needed. You can buy transformer furniture that can be changed from coffee table to a dining table. Consider furniture items that can be used for more than one purpose. Imported office furniture travel a lot of miles before they reach their ultimate buyers. The cost of shipping and the environmental impact is immense. By buying locally you not only boost the local market but you also save your money since local furniture items are cheaper. No one can like an item forever and the same applies to furniture. When it is finally time to bid farewell your chair, table, cubicles, and any other furniture item, ensure it ends up in a good home. To get started contact office furniture liquidation firms or sell the furniture items on Craigslist, eBay, Freecycle, your local paper, or donate to charity. There are many ways a company can go green. 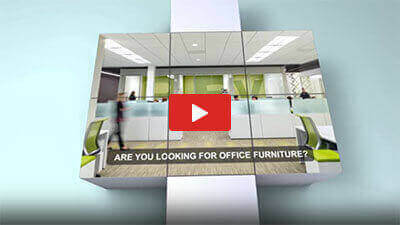 Clear Choice Office Solutions is one of the top suppliers of new and used office cubicles and furniture in Houston. To explore more go green ideas for your company visit https://clearchoiceos.com/.